"“Love is of all passions the strongest, for it attacks simultaneously the head, the heart, and the senses.” -– Lao Tzu Love. February is that shortest month made special by centering itself with that time to celebrate Love, to celebrate being loved, to celebrate loves you know and have known: Valentines Day. Remember who you love, why, when, how, and realize that time of loving can never be diminished by whomever or whenever you love again. Use the good that came of it to enrich your memories and do not let anything that was not good cloud your memories. You loved and were loved. Cherish that. You can even use the good memories to help yourself recognize beloved choices in life now and in the future. Love. Some of our authors addressed love in various forms and fashions, for instance, Bud Lemire's poem "Running Bird" relates the simple love of caring and nurturing is showered upon humans, animals, fish or fowl. His "Chop Suey" recalls the way his mother showed her love on his birthdays. Other poems by Bud this issue are "Jigsaw Puzzle," "Hummingbird Moth," "Michael," "Paper Fortune Teller," and "Copy & Paste." The last one is about something Bud doesn't love. Bruce Clifford's two poems are "Secrets in The Mist" and "The Fighting," both addressing difficulties in maintaining a loving relationship. John I. Blair sent us poems filled with "Memories," which is the title for one of them. "Anniversary," "Coping," "Primal Scream," "The Strip Pits," and "The Twohee and The Mockingbird." The latter is obviously about birds but not as obviously about how we as humans can be found acting the same. Dayvid Clarkson's talents include photography, and one of his recent photo's can be found with the pleasant, thoughtful content of his column "Reflections of the Day." Thomas F. O'Neill's column "Introspective" mentions how people, no matter where they live, tend to form their beliefs and fears from those same opinions being a part of their 'growing up' process, expressed by figures of authority they accepted as children. Mattie Lennon's "Irish Eyes" updates us about the current 'mystery' in Ireland which is actually about incidents in the past. All's well that ends well, but this tragedy seems to be ongoing. Armchair Genealogy by Melinda Cohenour, sister of your editor, is using her column to point out that one of the benefits of checking your family tree is finding out the genetic health factors that pre-knowledge may allow one to avoid. As an example she has a tribute to our mother who lived such an exciting and active life, but had Alzheimers in her later years. This is another example of love for this issue's theme: love of family. Rod Cohenour in"Cooking With Rod," romantic that he is, offers the recipe that he wants his wife to fix to celebrate their anniversary on Valentine's Day. LC Van Savage's column "Consider This," confesses to a personal failing, which she cannot bring herself to quit. Her article "Aunt Jeannette" enumerates the reasons love is not a big part of the tale. 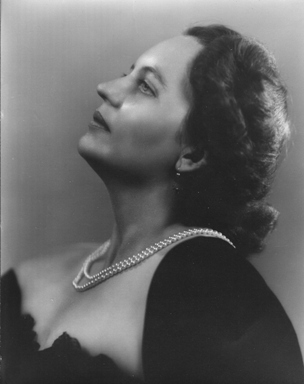 In the month in which the day of my birth is celebrated, it is often that my thoughts turn to the woman who brought me into the world, my sweet and wonderful mother, Lena May Joslin Carroll. 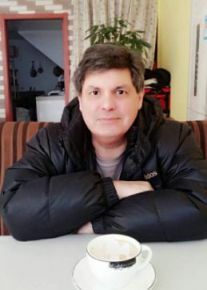 As this is a column devoted to genealogy, it seems fitting that mention should be made of the incredible advances made in both tracking our family histories but also in locating new members of our “cousin-ship” – that broad plane that comprises the largest number of leaves on each of our trees. For every parent, grandparent and great grandparent back into the mists of time that we list on our tree, there are siblings and their offspring down through the ages that carry the imprint of the familial DNA. Having submitted my DNA to Ancestry a year or so ago, my cousin-ship has grown into the thousands of living cousins who are identified through the matching process of their DNA to my DNA. Much can be learned, discerned, or confirmed by the branch of science that explores the mysteries of DNA, including a controversial subject: the genetic predisposition for inherited diseases. One of those most discussed today is the horrific thief known as Alzheimers. 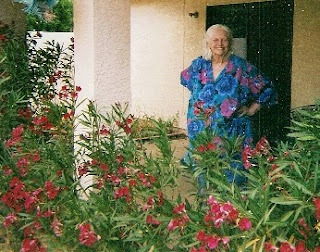 My precious mother, Lena May Carroll, was stricken with Alzheimers and her loss of memory was first noticed about 1999 or so. Prior to that, we thought she had experienced a series of strokes that would leave her a bit confused for a day or a few minutes or so. Gradually, over the next couple of years it became painfully apparent that more than that was taking place. I cannot begin to tell you how agonizing it was to have my best friend, my confidante, my adviser, my adored mother retreat from us in her mind. She often did not recognize me, saying, "You cannot be my daughter. Melinda is not fat!" She would remember things from many, many years before - a poem, a conversation, a person she did not remember as having died years before. She never, NEVER ceased to mourn the loss of my father, who passed away in 1996. That was the one constant throughout all her days. She would ask, however, "When is Jack supposed to get home?" and bring about painful remembrances for me - and a concern as to how I should respond. I always chose NOT to remind her and bring forth a new and fresh bit of agony for her. There were moments, sometimes a whole day, when she was completely lucid. Blessed moments when I would greedily grab time with her to share love and conversation, times when her sparkling wit and massive knowledge of things both everyday and normal and complex would make my heart sing. Love, alone, however, did not bring about full communication. Yes, I always, always, tried to show her love. She had always been the most dear person to me, memories of her sweet attention and loving way of making my most hurtful wounds stop hurting, make my happy moments even more blessedly happy with her to share - but those times were increasingly fewer and fewer between. I lost my mother many years before her death. So sorry for that. I would give anything for science to find the cure that no one else should ever have to suffer the pain of that horrible, slow, losing. 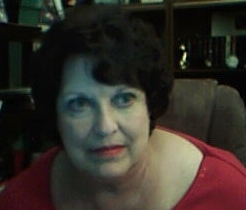 Lena May Joslin Carroll passed away peacefully at an Oklahoma City, Okla., hospital, Wednesday, March 3, 2010. Funeral: 3 p.m. Saturday, March 13, at Bluebonnet Hills, where she will be interred beside her beloved husband. 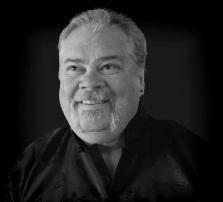 Visitation: 5 to 8 p.m. Friday. 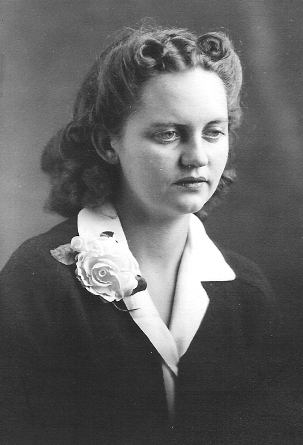 Lena May was born May 7, 1918, in Pineville, Mo., to James Arthur and Carrie Edith Bullard Joslin and lived an extraordinary life. She was a poet, rockhound and lapidarist, coin and stamp collector, Sunday school teacher, leader of a number of benevolent organizations, gardener, artist, sculptress and essayist. She served her country as a journeyman electrician in the shipyards of Oregon during World War II. She was a member of the First Baptist Church of Monahans, and later the First Baptist Church of Guthrie, Okla., and was a 50-year member of both the O.E.S. and S.O.O.B. She was preceded in death by her husband of 62 years, John Edward Carroll; her daughters, Noralee Edith Crowson and Jacquelyn Earlene MacGibbon; four grandchildren; a great-grandchild; and her brother, Jack Oakley Joslin. Survivors: Her brother, Rex Edward Joslin; sister, Linnie Jane Burks; daughters, Mary Elizabeth Adair and Melinda Ellen Cohenour; eight grandchildren; 22 great-grandchildren; 13 great-great-grandchildren; numerous nieces and nephews; and many beloved friends. No amount of narrative could possibly convey the many facets of my mother. She was a force to be reckoned with, both strong and tender, firm in her faith, giving and loving in her humanity, fascinated by knowledge and dedicated to learning, a brilliant mind and a compassionate and benevolent person who never seemed to tire of the pursuit of beauty in nature. Her memory brings forth tender regard from all her many descendants. 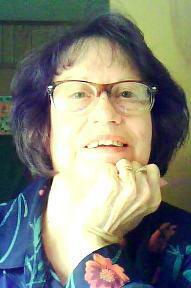 Instead, your author offers some photographs that help to portray her personality. Lena May Joslin's engagement portrait - taken after becoming engaged Valentine's Day 1934 and before her marriage 10 June of that year. River Lady. A young and vibrant Lena May, a newlywed of 16, DaddyJack took her photo as she waded the waters of the Pecos River. Summer of 1934. 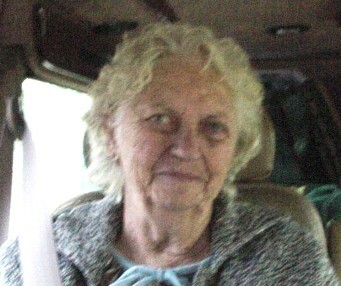 Mom thru Van Window as she left with her two oldest daughters and their daughters for a trip to Canada in 2001. 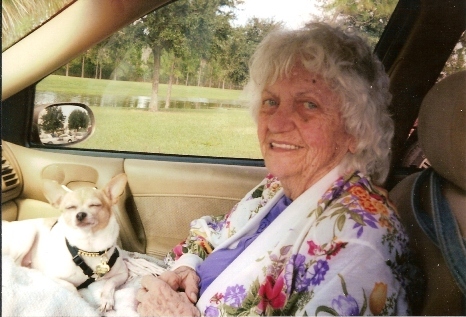 In 2006, Mother traveled with me to a job assignment in Sarasota, FL. Hurricane Wanda forced our evacuation from Sarasota to Orlando. Then Wanda became fickle and hit Orlando instead. This photo was taken on our return trip. Wanda's flood waters are evident in the background. On the weekend of 7 May 2007, Mother shared her birthday at our home in Phoenix, with her first-born, Mary who was born the morning after Mother was 17. An exuberant Mother amongst the bougainvillea and oleander in our backyard in Phoenix in 2008. February – the month for LOVE. And this month is very special to me and my sweet wife, for we recited our vows on Valentine’s Day in 1989 before her father, a lay minister, before traveling to Dallas to re-tie the knot before our pastor, Steve Leatherwood. On that particular Valentine’s Day, snow lay on the ground in Guthrie, Oklahoma, and since my sweet second Mom and Dad were engaged on Valentine’s Day in 1934, it sort of fit to make it a tradition. And this Valentine’s Day, I hope to entice that wife of mine to prepare a dish she introduced me to years ago. The story goes, this dish grew out of a recipe that was popular way back in the ‘60’s and early ‘70’s – the Russian Glazed Chicken. As usual, my Miss Melinda adapted that recipe to suit her tastes and in so doing managed to come up with a really tasty twist on the original. She has prepared this dish with a few other adaptations through the years and those suggestions are included as well. As we go toward this day of celebration of LOVE, and détente, it’s important to note that even though many things tend to divide or discourage folks, one of the two things that we all can agree upon and enjoy with one another are music and – of course – FOOD! 2. In small bowl, add hot water to packet of onion soup mix and whisk together. Let this begin to reconstitute as you prepare the chicken. 3. In a skillet, heat cooking oil to sizzling. Wash and rinse chicken pieces, sprinkle with ground pepper and brown quickly on all sides in hot oil. Remove to plate with paper towels to drain off excess oil. 4. Place chicken breasts in deep ovenproof casserole dish or stainless steel pot. 5. Cover each chicken breast with thick slices of onion. 6. Top the onion with drained and rinsed water chestnuts. 7. In bowl with soup mix, add bottles of Russian dressing. Rinse each bottle with a small amount of water and add that as well. 8. Top chicken breasts with the soup and dressing mixture. 9. Bake, covered, for about 1-1/2 hours. At one hour mark, check to make sure chicken breasts are fully cooked (this may vary depending upon the thickness of the pieces). Increase cooking time by 15 minutes. Don’t let the dish get too dry. 10. Plate chicken pieces over rice or noodles. 11. Stir the onions, water chestnuts and pan juices to even out the mixture, then top chicken with the delicious sauce. Excellent served with a crisp salad, a nice green vegetable and hot bread. 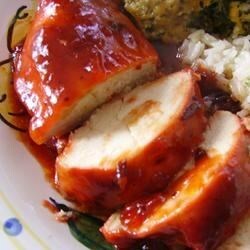 For Hawaiian Russian Chicken: Add pineapple chunks or rings to the recipe. If you wish, you can also add red, yellow and/or green Bell Pepper pieces. Make sure the peppers are submerged in the sauce to ensure they cook tender. Use the 2 bottles dressing and extra water to ensure you have plenty of sauce for your presentation. For Holiday Russian Cranberry Chicken: Mix the Russian Dressing with cranberry sauce, toss in reconstituted dried craisins (dried cranberries). To this, if you wish to make it very festive, toss in pecan pieces. January 29 at 10:00pm: Reflecting this eve on a dream I had last night. I was following a myriad of forest trails looking for a destination that I could not find. I kept finding the next signpost but not the destination. It slowly dawned on me. The fact I knew which direction to follow was in and of itself wondrous. Mayhaps, like this journey, we do not know or fully understand the destination, but we do know the way. It is time we were content with the paths that we follow fully trusting we are on the right road. The old cliché came to mind; It is not the destination but the journey. Sleep well, dream deep my Friends. Humble bow, Dayvid. Another evening of reflection: I live on a lake directly across from an airport, not close enough for the sound to be disturbing, but present when the few planes fly over. I enjoy watching the jets ascend into the sky against the evergreen covered mountains then head east. This evening at dusk, in a crisp clear sky, what I thought was another plane, was a formation of white Trumpeter Swans mimicking the jet’s silhouette. I was amazed. How my perception was so easily altered and how an enjoyable and favored moment was suddenly transformed into an amazing ‘aha’ moment. There are times when our journeys are difficult, sometimes these challenges seem insurmountable. Yet if we stay the course these wonderful ‘aha’ moments will soothe the soul, renew our hope, and give us the strength to continue on. I did the unthinkable this past weekend, a thing I would not tolerate anyone else’s doing, even though I did (and do) it too. The thing I did (and I shamefully confess I’ve done before,) was to touch something that had a very clear, very prominent “Do Not Touch” sign on it. As a matter of fact, those same signs were all over the place. As a matter of fact, I didn’t care. Mongo and I (he’s truly innocent in all of this and, by the way, knows nothing of my flawed character---at least this flaw, although I’m pretty sure he’s reading this-- uh oh--) anyway, we went on a mini vacation this past weekend. On our way we stopped to visit a museum with an enormous collection of very old motor vehicles and planes, and it was there I again broke the rules. But before I broke them I looked carefully around to make sure no one was about, and to my relief, no one was. It was then put my hand out and touched the handle of a magnificent old car, an elegant Rolls Royce built in the early 1900s. And if I were to be truly honest, I guess it could be said I didn’t actually touch, I grasped. I wanted to touch a car that had been touched by maybe Jay Gatsby. (Yes of course, I know he was fictional, but not to me.) Or touched by perhaps Scott and Zelda Fitzgerald. Or any one of their crowd. I wanted to touch the handle of that remarkable machine so I could connect with all those dead folks who’d ridden in it, who’d had incredible lives, who’d lived through great, glorious swaths of American history, who’d lived a life I never could, but often wished in my fantasies, I had. I shouldn’t have touched that car. Sorry, but I’m not sorry. Because I touched the handle of that remarkable antique automobile, I know I touched a tangible piece of history, a thing “they” had touched. Now happily, “they” are part of me, and I of they. And there’s more. 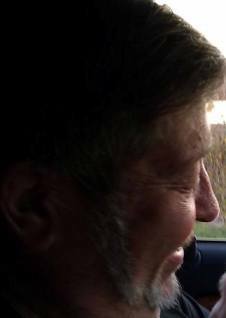 I once reached out and touched a ragged, collapsing one-horse buggy in a museum’s attic I’d been told Abraham Lincoln had ridden in, and I wondered if some of the atoms of this great man could still be clinging to it and would they now be intermixed with mine, and I decided the answer was yes. I once touched a painting by Grandma Moses and Norman Rockwell, and hoped some of their artistic atoms were quickly stirred into mine and again, decided the answer was yes. I’ve put my hand on the sides of buildings built hundreds of years ago, knowing people who built them had touched them there also, and therefore were now connected forever with me. I touched a chair in which the great Thomas Jefferson had sat, a blanket George Washington had allegedly slept under, a table at which Benjamin Franklin had worked, and while I am not proud of these improprieties, when the temptation presented itself, I could not resist. If there is a twelve-step program for Touchers-of-the-Forbidden-Anonymous, (TOTFA) I will not join, so don’t suggest it. After all, I can quit whenever I want to. Oh yes, I can. I also have touch goals, too. I dearly want to touch a sphinx and the Great Wall of China and the piano Ira Gerschwinn played on and the wooden staff Margaret Mead walked with in the Museum of Natural History in New York City, and a covered wagon in which a pioneer family had traveled, and the sill of the window from which Ann Frank looked up at the stars and dreamed of a better world. I want to touch a tree that was a seedling around the time of Jesus’ birth. So many things to touch, so little time. I had the great honor of meeting and interviewing a very, very old Senator Margaret Chase Smith just before she died, and got to shake her frail hand twice. And when I did that I knew I’d connected with more of this world’s movers and shakers than I could ever possibly know. Gandhi. FDR. JFK. Truman. Queens. Kings. Picasso. The peacemakers and warmakers. The world’s leaders and losers. Those who built the world and those who sought to destroy it. Inventors. Creators. Everyone famous in the world’s politics. In show business. Science. Literature. The arts. In space programs. Everyone everywhere. Imagine—Senator Smith’s touch connected me to the greats and famous of this world. I’m not at all sure she would agree with this fantasy of mine, but that’s my story, and you know how that cliché goes. So you see in my skewed world, some touching is good. For me, I mean. I know I should not do this, and I’m really trying to quit, but I am an incurable, hopeless addict. Pray for me. I know, I agree, and I seriously deserve this vituperation, this ostracization. I am a hopeless touchaholic and I know of no cure. I’m certain one day I shall be punished. There is quite likely a special place in hell for people like me where we are chained to the floor, surrounded by mountains of priceless, historic items with Do Not Touch signs hanging everywhere. And each time we reach to touch the objects of our desires, they move just a few inches out of reach, while a huge, prehistoric eagle tears at our livers. Almost every female of child-bearing age in the Cahersiveen area was treated as a suspect. Then it was established that Joanne Hayes from Drumcunning Lower, Abbeydorney, almost 40 miles away, had given birth but there was no baby as a result. Detective Superintended John Courtney and Detective P.J. Browne, both from the Murder Squad, (known as “The Heavy Gang” in Dublin), arrived in Kerry on 29th April. All three Murder Squad Gardaí were Kerry men. Courtney was from Anascaul, the native place of explorer Tom Crean and O ‘Carroll and Brown were both natives of Listowel; a market town in north Kerry famous for fiction-writers. Joanne Hayes along with three members of her family were taken to Tralee Garda station where Joanne Signed a confession that she had killed the “Cahirsiveen baby” and her family signed statements that they had witnessed the killing and driven 40 miles to dispose of the body. 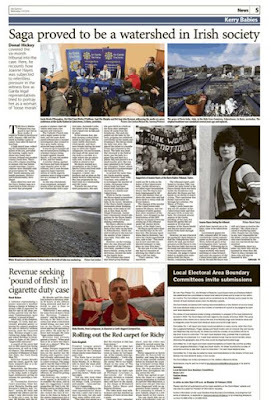 (Journalist Joe Joyce says, “The statements had the kind of flourish well known to those of us familiar at the time with confessions in Garda stations . . .”) The Hayes family could not have committed the crimes that they allegedly confessed to. Joanne had told the detectives that she did have a baby, that it died at birth and she had buried it on the family farm. She gave an exact location of where she put it. More than once she offered to accompany detectives to the scene. Was her offer(s) accepted? No. The Gardaí conducted a half-assed search and, of course, found nothing. Members of her family located the baby’s body exactly where she had said it was. Blood tests proved that she was not the mother of the “Caherciveen baby” but the Gardaí proceeded to charge her with the murder. (I can’t find any evidence that a file had been sent to the DPP.) When the case came to court the state announced that it was not proceeding. 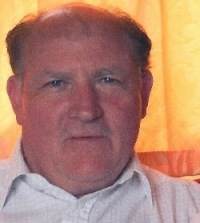 Gerry O ‘Carroll, who was later promoted to Inspector, spent years calling for a DNA test which he claimed would prove that Joanne Hayes had twins. He knows now. In late 2017 a DNA test proved beyond all doubt that Joanne Hayes was not the mother of the “Cahersiveen baby.” And there is no match between the baby and anyone Whose DNA is held on the State’s DNA database. On the same day Taoiseach Leo Varadkar said he wanted to, ". . . reiterate the apology the Gardaí made to Joanne Hayes and also to make that apology on behalf of the State as well". He went on to say that Ms Hayes was, "Very badly treated by our State and by our society.” Mr Varadkar said: "I can't offer compensation here now but it's something that I think we can discuss with her representatives in the period ahead." In recent days there have been numerous requests on social media to have Joanne Hayes’s book, My Story re-published. It was first published by Brandon Books in 1985. O'Brien Press has acquired the Brandon name and the rights for selected titles from its catalogue in 2012. The MD of O’ Brien press told me that Joanne Hayes' My Story was not one of these titles. We all have stories, some might seem more exciting than others, but stories that are truthful and genuine carry their own special essence. I was privy to watch my youngest granddaughter's every move. I was walking with her, on the farm, and I devoted my time to experience her discoveries as we walked. She was two or three at the time. The sun was bright , the sky was blue, leaves were falling. She had her little hand in mine as we walked and chatted, then she decided to stop. She saw a little piece of a twig she liked. Her hand slipped out of mine as she bent down to examine this treasure. She picked up a few, discarded a few, until finally she found the perfect one to hold onto, to feel, to become one with. She caressed it, like it was an exquisite jewel. She put her hand back in mine once again, and we continued our trek. Pebbles all around us. She was in heaven once again. Her smile,contentment, and joy made time stand still for me. I was mesmerized. To catch the thrill of discovery via a child is an experience in itself. 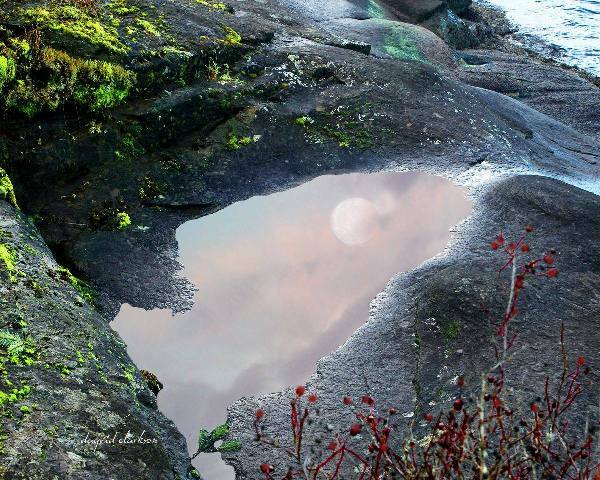 It is beauty in the moment, that captures purity at it's best. What an honor it was. Every semester I do a lesson on some silly things that many Americans believe in. But at the same time many people here in China believe in similar things - that seem to defy reality. 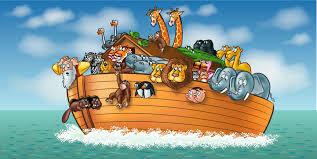 Noah’s Ark Upwards of 60% of Americans believe in the story of Noah’s Ark, word by word. Meaning that more than half of the people in the U.S. believes that a guy built an ark, put all of the world’s animals in it. He then told the animals not to kill each other, fed them during the flood, and then put each animal in the specific climate in which they would prosper. Bigfoot I grew up hearing stories about Bigfoot and many stories appeared on TV over the years as well. 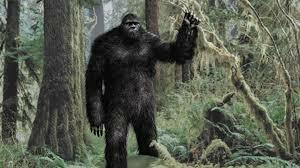 Bigfoot stories of sightings vary on some details though and on the type of "evidence." In 2008, two Georgia men claimed they had a body, and photos of the body. They also claimed to have DNA evidence of a Bigfoot. A few days later, evidence surfaced that the DNA was that of an opossum and the body was really a frozen gorilla suit. Ghosts Many of my relatives are big believers in ghosts and they enjoy telling the ghost stories they heard growing up. However, your mommy and daddy might have told you there are no such things as ghosts. But nearly half of Americans thinks otherwise. 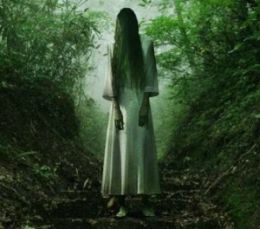 The idea of ghosts as hopeful evidence of life after death goes all the way back to ancient Egypt, where it was commonly believed that death was merely a transition to some mysterious netherworld of another existence. Aliens visiting Earth I tell my students that most likely there are aliens on other planets due to the sheer vastness of our Universe. But I also believe that earth would be to far for them to travel too. And, on a sadder note if those aliens ever made it to the US Trump would have them deported. With each passing year, the frequency of UFO sightings seems to keep increasing, as does the number of movies, television shows and video games featuring aliens. 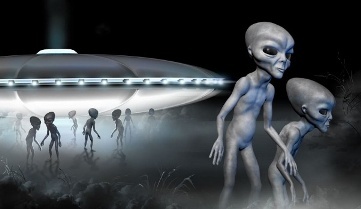 In America, 77 percent of people "believe there are signs that aliens have visited Earth” even when science can prove otherwise. Mermaids Most people in America believe that mermaids are [not real] because they have never seen one. On the other hand, there are people in America who do believe in Mermaids. They argue that most people have not seen giant squids but recently a giant squid was discovered and even filmed. There have been reports going back for thousands of years of people seeing mermaids. I for one do not believe in Mermaids but if they do exist I would love to see one. Fear of black cats Many fears stem from the same human trait that causes us to believe in monsters and ghosts: When our brains can't explain something, we make stuff up. The same goes for the fear of black cats especially during Halloween. I discovered that here in China the Chinese also have a fear of black cats but for many different reasons than the fear that Americans have of them. Cats have been a companion animal for humans for thousands of years, and they played all sorts of roles for us humans. In ancient Egypt, cats were loved; today, Americans collectively keep more than 81 million cats as pets. So why keep a black cat out of your path? Most likely, this fear arises from old beliefs in witches and their animal familiars, which were often said to take the form of domestic animals like cats. 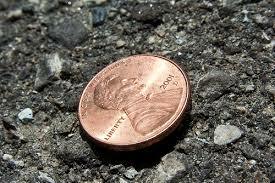 Find a penny, pick it up … Find a penny, pick it up --- and all day long, you'll have good luck. This little ditty may arise because finding money is lucky in and of itself. But it might also be a spin-off of another old rhyme, "See a pin, pick it up -- and all day long you'll have good luck -- see a pin, let it lay -- and your luck will pass away." The fear of breaking a mirror... 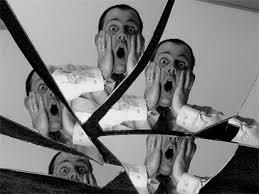 The Chinese like many Americans believe that if you break a mirror you will have seven years of bad luck. I once saw a man cry over a broken mirror which seemed odd and strange to me at the time. But when you travel as much as I have over the years you come across many strange beliefs. Not walking under a ladder comes to mind and not stepping on a crack in a sidewalk is also something many Americans fear. 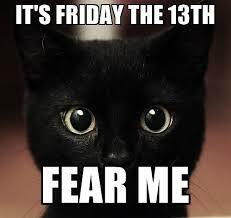 Superstitious fears seem to be part of the human psyche but it doesn’t necessarily have to rule our way of life. The more we examine our own beliefs and superstitions the more aware we become of our culture and the cultural beliefs of others. It becomes a learning experience and these silly beliefs can also become great topics for discussion especially in my classes here in China. That tests my tolerance for pain. Was not the answer after all. outside as much due to the cold weather. together the bigger picture. It is a challenge. But with patience, and time, all will fall into place. Sounds a bit like life, doesn't it?. flower with the nectar that would satisfy its appetite. Is having projects to anticipate. Instead of sitting here in darkness. I’m not ready yet for that. Is a modest kind of heroism. wall. It's a Pet Peeve of mine. I prefer originality. I prefer leaving the Copy & Paste to your Wall off. If people like something enough, they will do that. bothers me so much too. The others’ right to live. my friend while he lived here at Harbor Tower. In this world of strangers. planet is precious. Thank you Vicki! For tunnels to be practical. But how practical was this? Where the seam ran thin. Reminded me a bit of the 8-Ball that tells your future. It was fun just to see what my sister wrote down. else was happening. Who else remembers these? we had it. Pork and Beef, perfectly cooked. Chop Suey vegetables added. it was the best. Thank you Mom! Her name was Jeannette and woe unto anyone not spelling it with two Ns and two Ts. She would say that any other spelling of that name meant the woman was not a real Jeannette. She was the real one. And was she ever. Cranky, bossy, brilliant, annoying and fascinating. She was a living, breathing truckload of adjectives. My aunt Jeannette lived and lived and lived and was still alert and demanding at age 104, and when her crowds of grand and great grandchildren often gathered about her to ask what it was like to live “in the olden days” she put on her old crone face and told them she was far more interested in discussing the now and the future than she was in “blathering” about the past. “Go rent a documentary on the olden days,” she’d growl. “That’ll be far more interesting than my old memories, and besides, a documentary would be better because it would be set to music. I refuse to even hum. And whistle tunes for you? Absolutely not. Whistling girls and crowing hens/Always come to some bad end,” she’d grouse at her supplicants, in particular the girls. In particular me, because I always whistled tunes as I moved through my day. Made her crazy. But occasionally she’d lighten up and would tell us how things were “back then,” if we all begged properly, and politely. She once told us how it was to be a nurse in a hospital in Chicago to care for the returning soldiers of WW I while wearing starched petticoats and long hot skirts that dragged across the dirty floors, starched white caps and painful corsets that no one quite understood. Aunt Jeannette would tell them how those poor soldiers looked, mangled, smashed to pieces, faces missing parts, bodies missing parts, blinded and burned horribly by mustard gas, deafened from explosions, some soldiers so shattered by the experience they would never recover. We listened in silence, enrapt, horrified, not really comprehending, but fascinated anyway. We once asked her how she felt when she saw her first airplane flying above her. Would she ever take a plane to get somewhere? we asked. “Of course!” she replied. “But just because I’m old don’t try to force me to have some young buck strapped to my back so we can parachute together to the ground. What kind of fool does that?” Aunt Jeannette was nothing if not a perpetual contradiction of herself. And on the subject of cars. “You’re so old Aunt Jeannette,” we’d say to her, and she’d deliver The Glare that could shatter the hull of an aircraft carrier. “You must remember seeing your first car. Will you tell us about that? How did you feel? What was that like?” and again Aunt Jeannette would grouse that she had no interest in reliving the past, and only wanted to learn everything about the future. And again, she would relent. “Eeeuuuw,” said we in unison, mesmerized anyway. “Eventually our town had two automobiles owned by rich, show-offy people who owned farms many miles apart from each other. Sure enough one fine summer day, they had a head on collision right in the middle of town, directly on top of the town water pump. 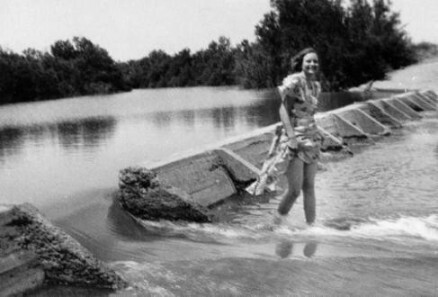 Smashed the pump and killed both drivers, damned fools,” said Aunt Jeannette, shaking her head. Frowning. “Look here, child,” she grumped. “Potato chips, if you ever bothered to look things up at a library and not on that stupid Goggle thing you all carry everywhere, were first invented in 1853. Furthermore young lady, for your information” (she pulled herself up straight and delivered The Glare with the same finesse as ever,) I therefore cannot recall when I first saw or ate them since we always ate them. I am NOT THAT OLD.” We all laughed. Aunt Jeannette did not. But finally she was that old, and at 105 she turned and shot The Glare at us one more time as we stood around her bed. She snarled, laughed, clapped her hands loudly, and quickly died. 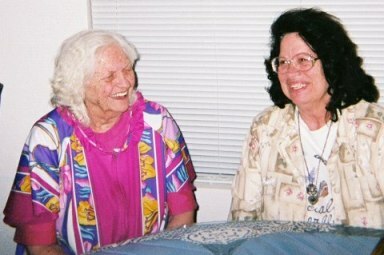 Aunt Jeannette, with two Ns and two Ts had abruptly left us. The pain of losing her? Never.